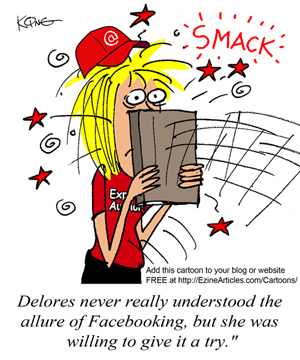 The allure of Facebook is undeniable, especially for people with insights or content to share. With more than 750 million active users, the social networking site is quickly becoming an attractive option for article writers hoping to build business relationships and generate additional website traffic. But, launching a social networking account for your brand without having a plan or strategy to implement, as well as a way to evaluate your progress, is a big mistake. Proper Branding – One of the first things you have to decide is how you are going to brand your Facebook page – i.e. are you going to use your name, the name of your company or the name of a specific product? Also, are you only going to use the profile to share professional items or are you going to mix in a combination of personal and professional? You’re better off separating your personal profile, if you have one, and a profile you’re using for promotional purposes. Do Your Research – Devote set amounts of time to listen to what other people are doing with Facebook. The set amount of time will help keep you focused until you figure out the most memorable strategies for building your brand as an expert. Then, scale back and focus on those powerful strategies. Making Connections – Make real connections with real people, not bots or spammers. Build your fan base on real people. The bots and spammers don’t add any real value, so focus solely on the real ones. Manage the Proportion of “Salesy” Messages – Treat social media sites as you would a table full of friends. Listen and contribute when you have something valuable to say. Build the relationship first and then ease into your sales message. That is (and always will be) the best way to acquire long-term customers no matter what form of marketing you’re using. Engage Others – Join conversations on social media sites and share the same level of great content you do in your articles. If people have questions and you already have an article written on the topic, connect them to that article. If you don’t have an existing article answering the question, consider writing one and sharing it. Evaluate – Take note of your average article stats before you start using Facebook to promote your articles. Then, as you start implementing your strategy, take another look at those same statistical categories to see what has worked and what needs to be changed. Share New Articles – You can also use Facebook to share your newly published articles when they come out. It’s a great way to promote the new article and showcase your expertise. Use these tips to develop a strategy to help you get a higher return on your article writing efforts. Also, if you haven’t already, “LIKE” Chris Knight and EzineArticles on Facebook to get more exclusive tips on how to incorporate social media into your article writing strategy. I’m still trying to figure out the best ways to use Facebook, Twitter, and Linkedin for my business. I guess I need to nail one down before going to the next. On your comment about separating your personal profile from your business, my understanding was that you had to use your personal profile on your company fan page. If you have a Facebook profile you can create a company page but if do not have a Facebook profile then you can just go to facebook.com and scroll down to the bottom right and create a page. LinkedIn on the other hand is very nice for companies and meeting people within your nich or field of work. I find that getting people to follow you on facebook requires some sort of presence on the web first. If you have a fan base on the web then it will be easier to get followers on facebook. Not a hard and fast rule – but that’s the way it seems to me. I think the biggest thing is to keep your facebook page updated and active. That’s the best way to get participation and continuous visitors/fans. One of the nice things about sharing your articles on Facebook is when you include the link to your article on EzineArticles a drop down box appears with the EzineArticles logo in it – good eye candy that pulls in the readers. Wow I don’t yet know what all this means it’s gonna take some research and study – but – I KNOW it’s deep. I use all three but after reading the article I feel I just have to make everything in more systematic manner. We’ve been using Facebook and Twitter for a few months in order to create more of an online presence, and you’re right, it does take some time and effort. The last couple months as we’ve refined our system we have found that the more systematic you are, the better. Keeping new and fresh content on there is vital to keeping people coming back and engaged. People have a limited amount of discretionary time to spend on Facebook so it might take some tweaking before you really hit a stride about how to get and keep them interested. I have still not being able to generate traffic from twitter, though facebook has worked for me to some extent. I still feel that it is more of a case of inbound links. I use all three (and more!) to promote my womenswaytowealth blog and find the secret is consistent posting of fresh content (2-3 times a week), along with providing valuable information to your target market. Give people something useful (rather than just trying to promote affiliate links) and you’ll build rapport and start to get noticed. It does take time and persistence but once the momentum builds up your business will really take off. How do I use Facebook to share my newly published articles when they come out? Love the cartoon, great message.